The ancient city together with one of its main necropoleis, known as the ‘Tombs of the Kings’, was declared a UNESCO World Heritage Site in 1980. Towards the end of the 4th century BC, Nicocles, the last king of Palaipaphos, founded Nea Paphos on the SW coast of Cyprus. At about the same time, the island came to form part of the Ptolemaic kingdom of Alexandria. The privileged position of Nea Paphos and its harbour led to the city being made the first capital of a now united island – a privilege it was to maintain throughout Hellenistic and Roman times, right up to the disastrous earthquakes of the 4th century AD. Demetrios Michaelides (Professor Emeritus of Classical Archaeology, University of Cyprus) will discuss Paphos during the Hellenistic and Roman periods, in the context of the Cyprus Seminar at the Cycladic Art Museum. The discussant will be Professor Pavlina Karanastasi. 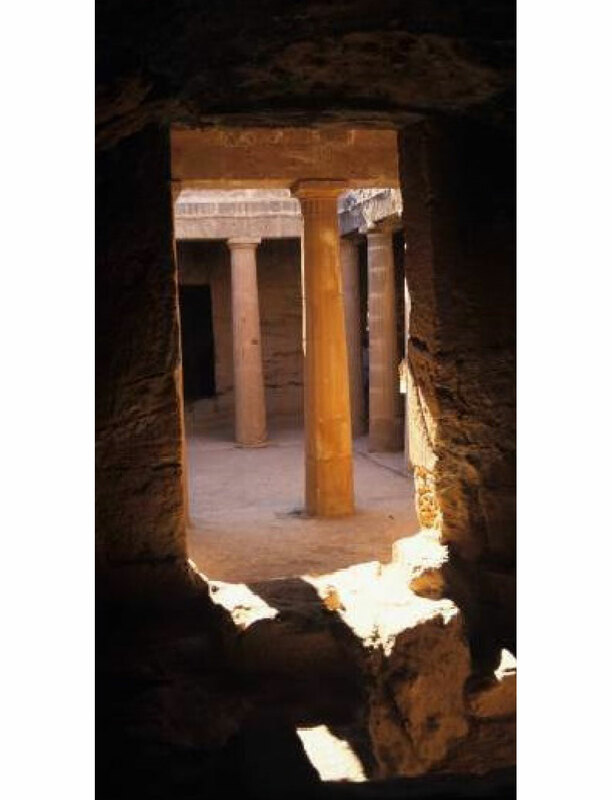 Our knowledge of the Hellenistic city is fragmentary because most remains lay buried deep under important Roman and Early Christian structures. The hitherto known remains show affinities with the world of Alexandria but also characteristics of the more general Hellenistic koine. Roman Nea Paphos is better known since several public and private buildings, as well as enormous necropoleis have been and are still being excavated by various archaeological missions, both Cypriot and foreign. The buildings preserve a considerable portion of their original decoration: sculpture, wall paintings and mosaics. The decorated floors, in particular, reflect the wealth of the island as well as the leading role played by the local workshops in the development of the art of mosaic in the Eastern Mediterranean. Given Nea Paphos’ role in the spread of Christianity (it was the scene of the miraculous blinding of Elymas by Saint Paul and the subsequent conversion of the Proconsul Sergius Paulus to Christianity) and the importance of its archaeological remains (especially the mosaics), the ancient city together with one of its main necropoleis, known as the ‘Tombs of the Kings’, was declared a UNESCO World Heritage Site in 1980. The presentation will examine the development of Nea Paphos from its foundation to the establishment of Christianity in the 4th c. AD. The seminar will be given in Greek. Where and when: Cycladic Art Museum (Main Building), 4, Neophytou Douka str., Athens; Monday, February 2, 2015, at 7.00 p.m.